It is our hope that all families find a way to resolve conflict peacefully. This is especially true when children are involved. Divorced or separated parenting has many complications and the first is just deciding how to share time with a child from two separate households. 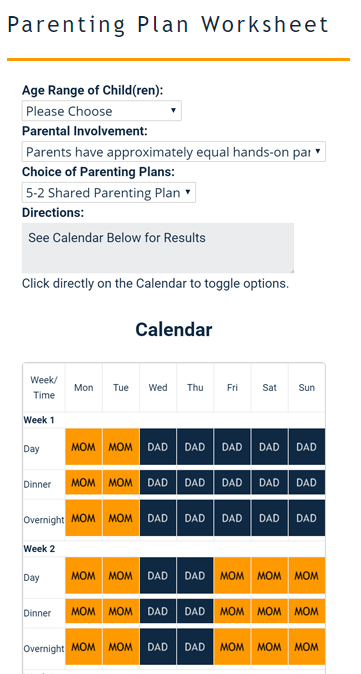 Developing a schedule can result in a lot of tension, especially if parents have trouble picturing how this new schedule will interact with their work schedules and the schedules of their children. 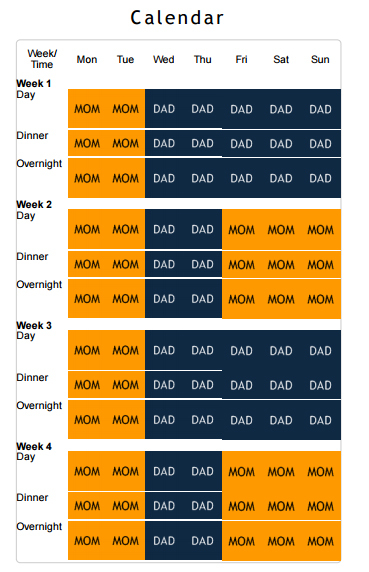 The form is not intended to convey a preference for one type of parenting plan over another, but instead to recognize that every family is unique and should develop a plan that fits their needs. 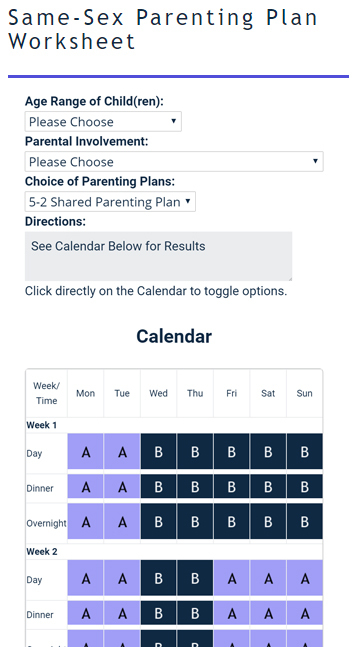 Every block in the worksheet can be toggled back and forth between parents so they can easily see what different schedules will look like. We hope that this tool is used by parents and practitioners to assist in reducing family conflict. If you have any questions about the form or want to provide us feedback please don't hesitate to e-mail us or call at 508.655.5980.